You know the drill, Stephen King takes a family out from the city and into a small town and things don’t work out. That could be the whole review of the film to be honest, but I’d be missing out on a lot more of what makes Kevin Kölsch and Dennis Widmyer’s reboot of the 1989 film really work. For anyone unfamiliar with the book or the original film, Pet Semetary tells the story of the Creed family, with Doctor Louis (Jason Clarke), his wife Rachel (Amy Seimetz) and their two children Ellie (Jeté Laurence) and Gage (played by twins Hugo and Lucas Lavoie) as they move out from the city to a smaller town for a better quality of life. Louis is immediately happy with their decision, feeling closer to the family than ever, but Rachel is struggling to adapt and is frequently being haunted by the memories of her elder sister, who died when she was a child. When Ellie and Rachel are exploring the back-end of their new property, they meet their lonely older neighbour, Judd (John Lithgow) and stumble upon the town’s pet cemetery at the far back of their garden. Ellie and the rest of the family become friends with Judd but when the family’s cat, Church, is killed, Louis and Rachel struggle to come to terms with the idea of having to tell their daughter the truth and Judd introduces to Louis an idea that will change everything. 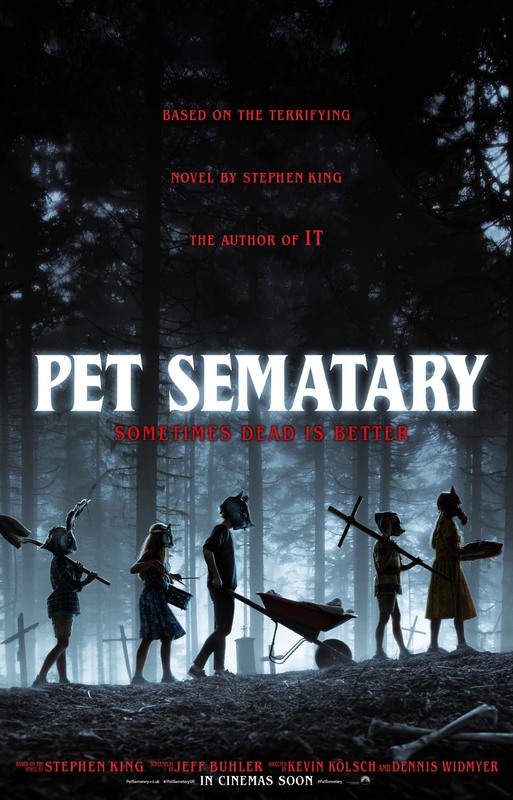 As someone who is a big fan of Stephen King, I have to admit that both the book and the original film of Pet Semetary has somehow passed me by. But to my delight, this film has all the hallmarks of classic Stephen King. Right from the start the film is full of suspense with more than a few surprisingly funny moments and there are plenty of scenes that are genuinely disturbing. Pet Semetary sadly does fall into a few classic horror cliches however, which I put down to no real fault of the writing or the direction. As a remake of a film and also with it being based on a novel, it would be incredibly hard for it not to. There are also some other moments in the film which lets it down slightly, the sequences where Louis continues to see the ghost of a student he struggles to save, I feel needed a bit more relevance for it to warrant it’s inclusion, especially when Gage starts to become haunted by the same ghost. Also, Rachel’s continual overwhelming panic at the thought of the death is also slightly hard to justify to the extent it is featured in the film. I would say though, that overall Kölsch and Widmyer have created a very enjoyable horror, that is difficult to watch in some parts, easy to laugh at in others and has you hooked from the start.